Check out these success stories of ChickFit participants! “I broke my core!” one burpee, one single burpee, and I pulled a muscle. I hadn’t worked out seriously in years and was so out of shape, but I knew I needed to do something. I was worried about feeling stupid since I was overweight and had lost all muscle tone, but Linda never made me feel embarrassed and was so encouraging that I kept coming back. After about a month Linda convinced me to try her 8 week challenge and combine exercise with an eating plan. She told me I wouldn’t even miss sugar and junk food, although I did not believe that for a minute (and told her so). I figured it couldn’t hurt and I was already starting to see results so I’d give it a try. The base eating plan turned out to be pretty simple to follow and not only was I not hungry, I actually had trouble eating all the food at times! And even my kids fell in love with Linda’s recipes, so we were all eating healthier. Then fall hit and my favorite pumpkin spice lattes appeared. I decided to treat myself to one, took a big sip and….YUCK!....it tasted sickening sweet and I couldn’t drink it. Dang it, Linda was right (however I learned that almond milk lattes are delicious)! During the 8 weeks we had several different eating plans to burn fat, build muscle and rev your metabolism and I was seeing visible results. Linda also helped me adjust the plan to my needs when I had business trips or other daily life challenges come up. With Linda I’ve lost an amazing 23 pounds, lost 6% body fat, and dropped 4 pants sizes. And all of this without starving myself and even having the occasional glass of wine. I’m not done yet, I still want to lose more body fat and my “spare tire”, but wow what a difference. Challenge yourself – you’ll find it’s worth it and you’ll get results! The Sisterhood of S.W.E.A.T. and Linda’s inspirational leadership were exactly what I needed to break through a very frustrating time for me. I am in my late 40’s and have always been very committed to staying fit, but I had hit a wall and found myself in a rut. I kept repeating a vicious pattern of doing all the “right things” but not achieving my goals. Linda’s idea to create a vision board and work together with other women to achieve my goals is exactly what I needed to break through my plateau. #SOS helped me achieve my goals of weight loss; fitting back into my closet full of clothes; feeling good about my workouts and the results with my body; enjoying working out while burning fat and building muscle definition; maintain healthy eating habits; and most important, enjoying the transformation. I “did the work” and the results came. I sit here today after my first 8 week challenge, 20 lbs. lighter, and 2 pant sizes smaller and with 10% less body fat. Thanks to the Sisterhood, I am happier and healthier. I was at the point in my life that I had gone thru menopause and just didn't like the extra rolls and weight I was putting on. I have always exercised. Walking on a treadmill and then elliptical. Doing sit-ups but all those things just didn't seem to help. I was feeling age creeping up on me. I was 55 when I decided to join Linda Mitchell and her boot camp. Not sure of what to expect I stopped by to see what it was all about. It looked very hard and it was, but I feel so much better. It was a great group of ladies who inspire you to do well. I would recommend boot camp for all who are looking for something in their life. Linda has taught me a lot about exercise. I did my 6 week program and stopped but continued to exercise at home. I then contacted Linda about her nutrition program online. Again Linda is amazing. This was the best thing I have ever done. Linda is so knowledgeable about clean eating (no preservatives) healthy eating. I won't lie, it again was one of the hardest things I have ever done. After about a month it became easier and I could not imagine eating any other way. I have had my slip ups. I call Linda and get re-energized. She is such a caring person and really wants you to succeed. I have lost about 20 lbs. and dropped 2 dress sizes. I love the way I feel and look! Sisterhood of S.W.E.A.T is Linda's new book and is so informative. Lots of recipes that are delish. Check it out! I have at my house. Linda’s Hot Yoga is so relaxing. Just what I have needed for some stress in my life. My husband jumped on the band wagon, because that is how I cook now, and he has lost 40 lbs and feels fantastic. Linda Mitchell is amazing and knows her stuff. I don't know where I would be without Linda.Thank you! I've had six or seven people ask me what I ate to prepare for this competition. I like very few raw vegetables, am allergic to shell fish, and would personally eat at least one whole basket of nachos with salsa at any one of our local Mexican restaurants. If you are interested in starting a healthier eating plan, do what I did and start with Linda Mitchell's book, Sisterhood of SWEAT. Linda is the owner of the Chickfit studio in downtown Mason. Her book will lead you in the right direction. You can find it on Amazon. The book wasn't written for competitors. A competitors diet is restricted in certain food groups the closer you get to competition. Linda's meal plan is very well balanced and will not leave you starving. Linda helped me in many ways get ready for this competition. Working out was the fun part The tough part for me was starting on a specific food plan. Linda's plan made it easier. Oh where to start! I've had so many adventures with Linda! I've known Linda for several years. With my first challenge years ago, I lost ten percent body fat in 10 weeks. I had no idea I even needed to lose that because I was only about 102 pounds. I just knew I was tired all the time, so I thought I'd give it a try. Boy, what a difference healthy, clean eating makes. Linda's plan tells you exactly what to eat and when. I traded fat for muscle, had a lot more energy and felt better overall. That experience changed my life. I'd never dieted before, so I didn't think I could do it, but I did. Fast forward to 2013. I was eating clean and working out regularly. Linda announces she's forming a Fitness America competition team and I tentatively raised my hand. I thought, you know, I probably won't actually go, but I'll get in kick-booty shape for summer. Slowly, I could envision myself actually going. I had never even been brave enough to run on a treadmill, but I learned to do it. The trainings were hard, but with encouragement from Linda and the team, I got through them. I actually went to that competition and had a blast with our team. Again, I didn't think I could do it, but I did. Fast forward a few more years to 2016/2017. Heavy stress has taken a toll on my body and mind. I've gained 10 pounds that is not moving. Linda sees that I'm really struggling and helped me understand the effects of cortisol when you let stress take over. We also discuss the fact that I'm probably in peri-menopause (confirmed by my dr.) and how my hormones are wreaking havoc on my body and mind. Her experience and extensive knowledge helped me understand the best way to manage these health roadblocks. After a few changes, I feel better than I've felt in a very long time. I didn't think I'd get relief from my stress and hormones, but I did thanks to Linda. I feel so fortunate to have Linda because she really, truly wants to help each and every one of us feel our best. I have not even mentioned all of the amazing, supportive and absolutely beautiful women that I work out with now and have met over the years. I adore each and every one of them! Linda fosters an environment where women build each other up and make us feel our best. I can't say enough about my dear friend and coach. I can't imagine not having her in my life and look forward to many more years of grueling workouts, cooking parties and uplifting times with my sisters in sweat! Linda has been an amazing teacher, supporter, and friend. My mother and I joined together after we were tired of falling off the wagon with trend diets. Without judgement, Linda took the time to learn about our bad habits and the best way to provide help for the problems we tasked her with (Confidence, weight loss, energy). She introduced us to a new diet, a fierce workout routine, and a support group of amazing people who were there to encourage us every step of the way. Linda is there for you when you have weaknesses and talks you through them with extreme patience. Can't wait to see her for our next workout to feel the burn! Going into this challenge, I had a lot to prove to myself. I had recently, over the course of 2 years, gained 73 pounds. It was the heaviest I've ever been in my entire life. I had become the 4 Ds. Depressed, discouraged, despondent, and defeated. I felt like a failure, and I was embarrassed by how I had let myself go. I felt like it was the only thing people thought about when they saw me. I wanted to change, I wanted to get the weight off, but I needed help. The problem was that I had recently moved to Kentucky, away from Chickfit, away from the support system who had helped me so many times in the past, away from Linda. In the past, they had helped me to stay positive about my body image, helped me to recover when I had food relapses, helped me to stay focused on my work outs and eating plans, helped motivate me through tough work outs, and these women had become my friends in general. So without them, I had an extremely difficult time finding effective solutions to weight loss and exercise. But when Linda offered the online-based SWEAT Challenge, I knew that that was my opportunity to get back into the eating right, losing weight game. The SWEAT Challenge was a way for me to reconnect with a support system in a fashion that worked for my location and schedule. The diet plans, the exercises, the support and encouragement was all online, where I could access it at my convenience. It made me feel like I was part of something and I wasn't in this struggle alone. The diet plans themselves were surprisingly easy. Linda had us start with the basic plan, but then kept things dynamic by switching up the diet every 1-2 weeks throughout the 8 week challenge. I think this helped me stay on plan because instead of looking at the challenge as a daunting 8 weeks, or focusing on how far I had to go, I took it one week at a time. Each week, I would tell myself, "you just have to get through this week and next week will be something new." Some weeks were hard and some weeks were a breeze. I also enjoyed having the opportunity to try new diet approaches, that I normally wouldn't. And it made it easy because we didn't have to do any one plan for too long. The switch-ups kept it interesting, and I was interested in the results that each plan would bring. Additionally, it was the SWEAT Challenge Facebook page that kept me encouraged and motivated. I loved being able to post questions and comments and know that I was going to get good feedback or answers. And it was cool to see all the food pictures that people posted and get new ideas for meals. At times, the page was used for confession. haha But it was a relief to know that forgiveness would be had, and encouragement would be offered, to ensure getting back on track. At the end of the 8 weeks, I had lost 22 pounds, and I had begun to regain the belief that I could do this. It's crazy how eating healthy can make you feel better in so many ways. Even before I started to see the pounds go, I felt better immediately, just knowing that there was a plan and that I as long as I trusted it and followed it, the results would come in time. When you struggle with weight gain your whole life, it's a life of emotions, good and bad. I don't feel myself when I'm heavy. I don't feel like I can do anything I want when I am heavy. I feel like everyone focuses on my weight gain when I am heavy. And it's because I'm focusing on it. Losing weight is invigorating. Losing even just 22 pounds, of the 73 I gained, felt amazing. I felt accomplished again and had the renewed encouragement to keep going. It's a long road, but I know that if I let Linda and everyone who is a part of Chickfit lead me, I can succeed. I was lucky to find Chick Fit studio this past year and it has been the exact supportive environment I needed to make/ start a personal transformation. I have re-learned what to eat and how to exercise for my age and stage of life. I have built muscle and lost body fat in an amazing supportive environment. As I reset my thinking for myself and gain new confidence, I realize that my "age" was only a starting point and an old state of mind. In addition to physical training and exercise routines, Linda provided new recipes and food guidelines during challenges and in her book. My son has copied some of the recipes. And if you ever had questions or stumbles along the way, I was able to ask them without worries or find a podcast that helped inspire or move my mindset. I started out with individual personal training. I moved into the challenges with a great support network. During last summer, my daughter and I trained together. My daughter found it a safe way to get started. Chick Fit and Linda Mitchell re-frames the "me I was going to be" when "I had time" to the me I am now, 20 pounds lighter and the me I am continuing to develop as part of each day...no more putting it off or waiting. “Deciding to join Linda on this fitness journey was one of the scariest things I had ever done. Let me just say that I am not an athlete. I am forty-seven years old and have never played a sport or been very active. I’m the type of person that enjoys being “comfortable,” not pushing myself to eat the right thing or do more than just the least amount of exercise. That kind of lifestyle tends to catch up with you at some point, and I didn’t like the way I felt or the size I had become. I came across this quote by Pastor Rick Warren. He said, “God created it. Jesus died for it. The Spirit lives in it. I’d better take care of it.” This made me stop and think that I better start taking care of my health. So I went to my first workout beyond nervous and that is when I met Linda. I made it through the workout and I was amazed that even though it challenged me, Linda made it doable. She was patient, kind, and loving. I wasn’t sore until the next day but that was overshadowed by how accomplished and pumped up I felt. Linda always knows when to push you and when to hold back. I could not have done this without Linda’s encouragement and clear instructions. I have done eating plans before and some exercise but Linda puts everything together in this unbelievable package that works! She always works out with me and gives me tips on food choices. On top of that, her enthusiasm is contagious! As I sat down to right this testimony I thought of all the reasons I joined Chick Fit. I was praying day and night for God to lead me to a gym that empowered women and helped them to be all God created them too be. Like God always does, he led me right to Linda Lu and her amazing studio filled with some awesome ladies! Linda's gym is not like most gyms, where everyone is starring at you wondering what this out of shape woman is doing at the gym (helllllllo I am here to get in shape), it is literally a place of sisterhood. We cheer each other on, laugh about the troubles of our days, and even share with complete strangers how we got to this point in our lives. It is freeing on many levels day in and day out.I was afraid at first, thinking I would look stupid, thinking I was so out of shape, thinking that I definitely didn't have what it takes to get through the workouts. I was very wrong. With God's strength, Linda's motivation, the other women in the class cheering me on, and much prayer I kept coming back. With every step I took I could feel myself growing stronger and stronger.Today, I am much stronger and feel I can do any work out that she puts in front of me. I eat clean 90% of the time now and Linda is continuously giving me tips on how I can make eating clean enjoyable! Even though my fitness journey has just begun I have improved so much and can't wait to see where it takes me. I am so thankful that God led me to this gym, these wonderful women, and Linda Lu! I have gained so much strength and confidence training with her. Frustrated with the unfamiliar image looking back at me in the mirror, I knew I had to dig out from under what I had let happen to my body. I decided to attend the ChickFit Boot camp 2x a week back in August 2012. It was not for the faint of heart, but my inner athlete refused to give up. Linda was very encouraging throughout the workout. The group of women I was working out with were all inviting, not at all what I expected. 2 weeks later I decided to up the ante and joined the Perfect 10 Challenge. Through diet and exercise I managed to lose 12 lbs and 2 pant sizes. I felt good, but I wanted more. 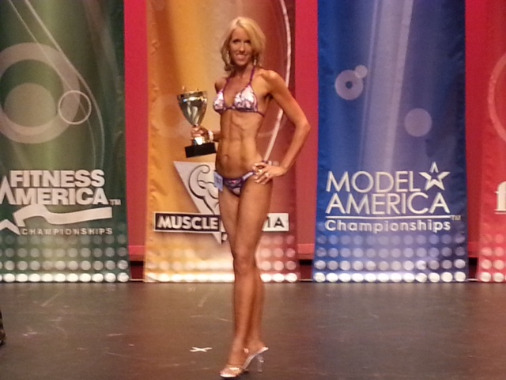 Due to Linda’s encouragement and motivation, I decided to train to compete in my first Fitness Bikini Competition! What am I doing? A 39 year old, married, working mom of 2 girls… REALLY? I have only been blessed with Linda as my trainer for 7 months and I am 24 lbs lighter, stronger than ever, motivated and determined like none other! The “BEFORE” picture that months prior I would hide or even delete, is now like a trophy to me when I look in the mirror now. Proof that with the right people in your life, you will again believe in yourself, want better for you! Sky’s the limit and I have my wings! 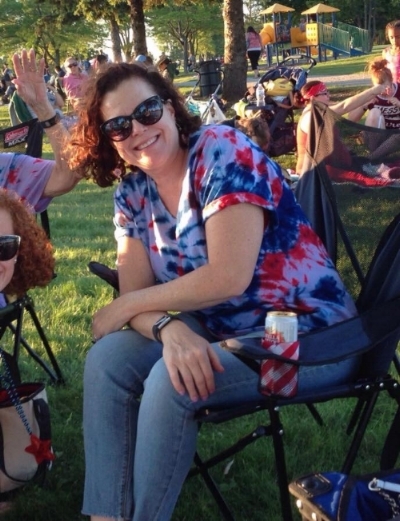 “Joining Linda was never about losing the extra pounds I had gained since high school or dropping the number I regularly read on my bathroom scale. For me, joining Linda was about something much bigger. I wanted a healthy lifestyle that matched how I finally felt about myself. Unfortunately, my childhood was a dark one. I grew up in a divided home with poisonous step parents on either side. Many forms of abuse were common and very regular, in fact, daily. I developed little to no self-worth and maintained a constant state of "survivor mode." I definitely had a chip on my shoulder and once I turned eighteen, I moved out. I figured I could take care of myself and finally be in control. I was wrong. My childhood didn't teach me how to care for myself or how to be in a healthy relationship. I quickly developed several drug addictions as my defense mechanism to escape reality. I became addicted to cocaine, alcohol, psychedelics, marijuana, and anything I could get. You name it, I did it. My love life was just as disastrous. Because I didn't grow up in a loving home, I didn't know what love looked like and naturally, I was attracted to what I did know....poison. After my divorce at twenty-two, my many vices increased in intensity. I started hanging out with an even rougher crowd. By age twenty-six, I didn't recognize myself. I had no idea how I had become the disgruntled woman I saw in the mirror. I knew I had to change. I began therapy and it was quickly revealed how my dark past was affecting my decision making and why I chose drugs and alcohol as comfort. My slews of neglectful, unhealthy, and unfulfilling relationships were a result of me not valuing myself. In general, everything became clear. I became clean and started facing the past I had been running so hard from. It was an incredibly sad and difficult time in my life. After being completely clean for six months, I decided it was time to focus on a different aspect of my health. Therapy had done wonders and gave me the tools I needed to care for myself, but I wanted more. I had been given a new foundation to build upon and wanted to be the best version of myself I could. It was time to focus on my physical self. I knew I needed support and to be surrounded by healthy minded people. I wanted a sisterhood. Linda's Sisterhood of S.W.E.A.T. was exactly what I was looking for and needed. I've never felt so great and healthy in all aspects in my life. I absolutely love the atmosphere she has created. It’s supportive, fun, and continuously challenging. There’s absolutely no judgment from anyone. Everyone has their reasons for joining and we’re all there with a similar goal, to be better. Whether it’s to be slimmer, stronger, faster, or just healthy, Linda can help. Sisterhood of S.W.E.A.T. has given me another reason to stay clean and healthy as well as to continue to work on myself. I am proud of who I am today and how far I've come. I finally love the path I'm on! I thought I was in OK shape before…..having had completed 7 marathons and running long distance regularly I thought I was in decent shape but could use some toning; gain some muscle definition. With the encouragement of a friend who had recently started the Chick Fit Bootcamp I decided to try it twice a week in March. WOW was I wrong. The first class whipped me – in the best possible way. I was sore in places I didn't realize I could be sore. After a few weeks Linda gently encouraged me to try the 10 Week Challenge she’d be kicking off April 1st, noting that I can run and workout as much as I want, but if I don’t change my diet I'm not going to see the results I desired. Challenge accepted. Holy cow, what a challenge! Linda introduced us to a clean diet, which was completely foreign to me. I also increased my workouts, comfortably but challenging to boot camp twice a week, jump n pump and yoga while continuing to run up to 10 miles on Saturdays. By our first check-in I’d seen some major changes, especially in how my clothes were fitting. Before the challenge was even over I was shopping and purchasing items 2 sizes smaller than when I’d started. Not only was my body making changes, I was able to gain strength which was evident to me by setting a PR (personal record) in the Flying Pig half marathon. Through all this Linda has stayed right by our sides... answering endless emails, questions, help with the diet, plateau busters and endless encouragement and excitement. The Chick Fit classes are full of great women, who are also equally encouraging and a great deal of fun. I would encourage anyone wanting to make any body, self-esteem or just health improvements to give this a chance. It’s been worth every ounce of effort. Challenge over; I've dropped 13 pounds and 13% body fat. THIRTEEN PERCENT!!! And I'm not done. Linda is still right by our sides with the next phase of diet and how to continue on with improvement. Thank you Linda and the other ChickFit Ladies!!!! I don't think I could have done this without any of them! I never would have dreamed that I would be a person that says, “I can’t wait for my workout." One year ago after delivering my second child within a two-year period, I found myself fifty plus pounds over my pre-babies weight. I had a history of being overweight when I was younger and was terrified of returning to that place in my life. I began checking into joining a local gym but just wasn't sure how I would do working on my own. It was during this process that I came across a Groupon for Linda Lu Fitness. Purchasing that Groupon turned out to be one of the best decisions I could have ever made. I walked into my first bootcamp class extremely nervous and completely out of shape. Linda greeted me warmly and welcomed me to the class. I had no idea what to expect. Linda reassured me and told me to just do what I could and that anything was better than nothing. The next morning I awoke to find myself feeling like I had been run over by a truck! I had muscles in my body that I didn’t even know existed screaming at me. I began to think, “Oh goodness, what have I gotten myself into!” Going back to that second class was one of the hardest things to do because I was still so sore. Once again I was greeted warmly and reassured that it would get better. 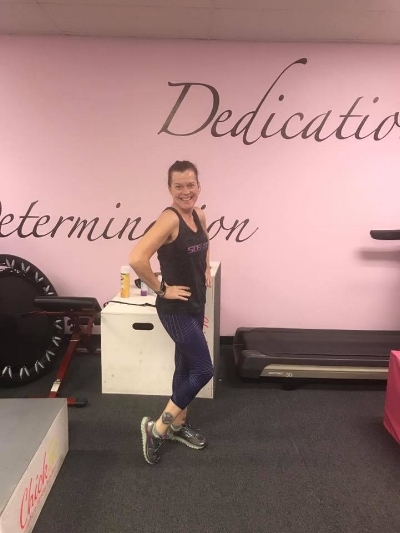 Linda is a great motivator and when exercises appeared to be too hard she would give personal attention to help modify it in a way that would still give me results but also allow me to feel successful. After four weeks of attending her classes Linda decided it was time to take me to the next level… the meal plan. Six weeks after starting and following Linda’s meal plan, I had dropped thirty pounds and was as motivated as ever. Within a four-month period of attending classes and working with Linda I had reached my goal of pre-babies weight and had reduced my body fat in half! What had I gotten myself into?!? In mid-August, at Voice of America Metropark, I bought a 15 class Groupon for a bootcamp. I was 270 lbs, in a size 22-24, and apprehensive. I had just had surgery on my right knee, and the surgeon said I needed to lose weight and strengthen my knees. I was working on the weight loss with my doctor, but I had plateaued over the summer. I knew I needed to do something different, but what had I gotten myself into?!? Linda Mitchell, our Bootcamp instructor, kept saying to me “Only do what you can.”, “Just keep moving.”, “Try for a little more every time.” After the first time, I was not sure there was going to be a next time. What the heck, I bought the classes, right? TRX was easy to modify the exercises and the Kangoo Boots were fun. I hadn’t run in years. In the boots, I could jog a little, even though the walkers were passing me. Then, Linda announced the Perfect 10 Challenge, 10 weeks of following Linda’s nutrition plan and 3-4 workouts per week. Could I ever get into my jeans again? I had to take a chance. Well, it worked! The weight and inches just started falling off! As of February 3rd, I am now down 94 lbs. I am wearing size 14-16, and I have my life back. I can do things around the house and keep up with my kids, instead of collapsing on the couch after work. But wait! This is the best part! I love roller coasters, but for years, I was unable to ride them because the seats and belts wouldn’t latch. It was humiliating to have spent time in line just to walk away, in front of all the other riders. This year, I have a seasons pass to Kings Island in my purse, just waiting for April 27th, the opening day. I’m going to ride every roller coaster in the park, over and over again. I’m going to wear out my kids! There is not a ride I can't fit in! Thank you, Linda! You have helped me become a better mother, wife, and person. I knew it was time for a change. I was out of shape and unhappy with the way I looked. After talking to a friend she suggested Linda’s boot camp. I'll admit I was really nervous my first class. When I finished I felt great but it was hard. Even now the classes never get any easier – I just work harder. I immediately loved how I was feeling (with the exception of a really sore first week!!!!). What stands out about Linda is she is always encouraging and motivating. From my first class to now Linda is always giving positive feedback. She encourages me to do more, never say I can't, and believes that we can all get the results we want with hard work and dedication. After a few weeks Linda launched another one of her bikini boot camp challenges and I signed up for it. Linda will tell you 80% if your results are diet. Combining her diet plan and workouts in a short 10 weeks I dropped 17 pounds and 10% body fat. I was amazed but moreover thrilled with my results. The best part is when I told Linda I still want to continue to work hard and lose body fat she was immediately supportive and sent me another round of the diet plan. The best part about working with Linda is I truly believe she cares about each and every person she’s training; she wants you to succeed as much as you want to and it shows. In July 2011 my workout program consisted of walking and a little running around the Voice of America Park Lake 2 times which seemed like a great accomplishment for a woman in her 60’s. One day I saw this woman in a well filled out LOVE PINK tank top, blue eye liner, tan, super smile and a great body, wearing the most unusual pink boots (kangaroo shoes) I have ever seen. I could not resist going up and talking to her about her classes. Never realizing that this woman would actually change my life... or maybe save it. That woman was LindaLu. January 2012, just 6 short months from that meeting, finds me 30 lbs lighter, 4 sizes smaller, and 20 years younger. The workouts are hard but I feel wonderful. I do not do everything perfectly but each class I am always encouraged and motivated to keep going. Thanks to those silly shoes… and ChickFit I am a new person who has a healthy lifestyle and I'm growing stronger and better every day. Linda Mitchell is by far the best trainer I have ever worked with and I am so lucky I discovered her. I have pretty much tried every kind of fitness craze that has been around for the past 20 years and none of them have had the same results as Linda's Bootcamp class. Linda is incredibly motivating and inspirational. I actually look forward to working out with her every single opportunity. I decided to try Linda's Bootcamp class as an attempt to lose those last 20 pounds. Her Bootcamp class boasted that it would only take 6 weeks to get bikini ready. To my surprise I lost 10 pounds within the first month and dropped a clothing size! I had never achieved results like that in my life! Not only did I look better but I felt significantly better. I felt stronger, healthier and had a newfound energy. Linda was there every step of the way, making sure my form was correct and that I was getting stronger in each class. She takes the time to explain the benefits of proper form and knows so much about nutrition and diet. Without a doubt I can say that Linda is responsible for my new outlook on life and exercise. I recently dropped my gym membership as I now consider the gym to be a waste of time. Working out with Linda is far more beneficial and produces the results I am looking for. Plus her classes are always a small and welcoming group of encouraging women that have become my friends. I would recommend that anyone who is looking to lose weight, gain muscle, gain energy, and improve their quality of life go to Linda Mitchell. She is by far the best in the fitness industry! I had read about Linda's suspension training boot camp in the local paper and was mildly interested. A few months later I was out at VOA park and saw what I assumed had to be her getting ready to have a class using the suspension trainers. I walked up and asked a few questions. Linda demonstrated a few exercises and I was hooked! I signed up for her ChickFit Bootcamp a few weeks later and I've never looked back. I love it! It is the perfect blend of cardio and strength work. At 46 years old, I'm in the best shape of my life. I would highly recommend this class to any woman interested in taking her fitness to the next level. I am so glad that I discovered Linda Mitchell and ChickFit Boot Camp. I had just cancelled my gym membership (after only 2 months) and was looking into everything from personal training to different places that offer boot camp like programs. I have loved working out with a personal trainer, but it wasn't really going to fit my budget and a bunch of machines at a gym are not for me. A friend of mine had picked up information on ChickFit Boot camp at her nail salon in West Chester and it sounded perfect! So, we signed up for our first 6 week session together. Even after suffering through the first week (Monday and Wednesday night that week), I knew I had found my workout solution. First of all, I love Linda! She is lots of fun and very encouraging no matter our fitness level. And, the variety of workouts we do always make me feel strong and energized! Walking lunges and running sprints are also more fun with a half dozen other ChickFit Boot Camp women! But, one of my favorite pieces of equipment is the TRX which I didn't even know existed until boot camp with Linda. The combination of strength & cardio, with the suspension element, makes for an amazing (and tough) workout. I also knew I had to change my diet and establish better eating habits in order to see the results I desired. Linda provided just the guidelines and motivation to help achieve my goals. In just my first 6 weeks, I lost 10 lbs and 15% body fat (which is how I became a “Bikini Girl”. I am still not where I want to be, but thanks to Linda and her ChickFit Girl Boot Camp, I can continue getting in the best shape of my almost 44 year old life and have fun in the process! Please take a look at the Weekend Get Away page. My friend and personal trainer of over 10 years is offering a weekend getaway next spring (April 30 – May 2) in Gatlinburg that should be a lot of fun. Don't worry if you don't feel “fit enough” to go. I know Linda well enough to assure you that she won't push you to do things you are uncomfortable doing; she will offer modifications to meet your needs (example: arthritis in my knees prevents me from doing anything that requires more than a 40-degree bend); she is 46 years old and her primary audience is the “fit over 40” crowd. She doesn't push a lot of “rules” but offers encouragement to motivate you toward a healthier lifestyle. She is fun, motivating, personable – one of the most inspiring, down to earth, encouraging, enthusiastic people I have ever known – you can't help but catch her enthusiasm for health and fitness. I am acquainted with some of the people who will be going – no one is an athletic superstar – all just regular ladies like us who are very nice, very accepting -- a very supportive group of gals. Some of them are also bringing friends so I don't really have a “buddy” to hang out with and would love it if you would come. We will have a BLAST! I would LOVE IT if you would consider joining me for this fun-filled weekend! Spread the word! Let’s act quickly – I know this event will be sold out in no time! Early bird deadline 7/31 for best price.